When INTERFORST 2018 will open up its gates on 18 July, trade visitors may look forward to a highlight right at the outset: the presence of Michaela Kaniber, the new Bavarian State Minister of Food, Agriculture and Forestry. We have interviewed the Minister about the expectations she places on her visit to the trade show, the challenges faced by the industry and the increasingly female target group. On 18 July, INTERFORST 2018, the International Key Trade Fair for Forestry and Forest Technology, will open its gates, and the visitors are certainly also curious to see the new Bavarian Forestry Minister. What is your agenda for the trade show? Michaela Kaniber: Of course, the inauguration of the trade show will be the first item on the agenda. I am particularly pleased that the Austrian Secretary-General, Josef Plank, has accepted my invitation as representative of the Federal Ministry there and will attend. Indeed, Austria is an important and valued partner for Bavaria in the forestry sector as well. I will naturally make a tour of the trade show and sit down on the “Green Couch” to participate in this discussion forum at the joint pavilion of the Bavarian forestry sector. Furthermore, as Chairwoman of the Supervisory Board of the Bavarian State Forest Enterprise, I will not miss the chance to attend its Employee Day which will take place at the trade show on Thursday. As you see, I will have a tight schedule. Nevertheless, the trade show and the forestry sector are very close to my heart—so I am happy to take the time for it. What expectations do you have for your visit to the trade show? Michaela Kaniber: I am expecting comprehensive insight into the innovations and solution proposals relating to all topics of forest management—from seedling to squared timber. The world is becoming increasingly complex in the forest, too—on the one hand, because the demands that society places on the quality of forest management are increasing and, on the other hand, because megatrends such as climate change and demographic change are keeping us in suspense. In addition, I am looking forward to intensive talks with the representatives of the industry. All important decision makers gather at INTERFORST as one of the key trade shows of the forestry industry. Thus, there are sufficient opportunities for dialog on issues that are of topical concern for the sector. INTERFORST takes place only every four years. It will be attended by more than 50,000 visitors from over 70 countries. In your opinion, what is the importance of INTERFORST for Bavaria and the region? 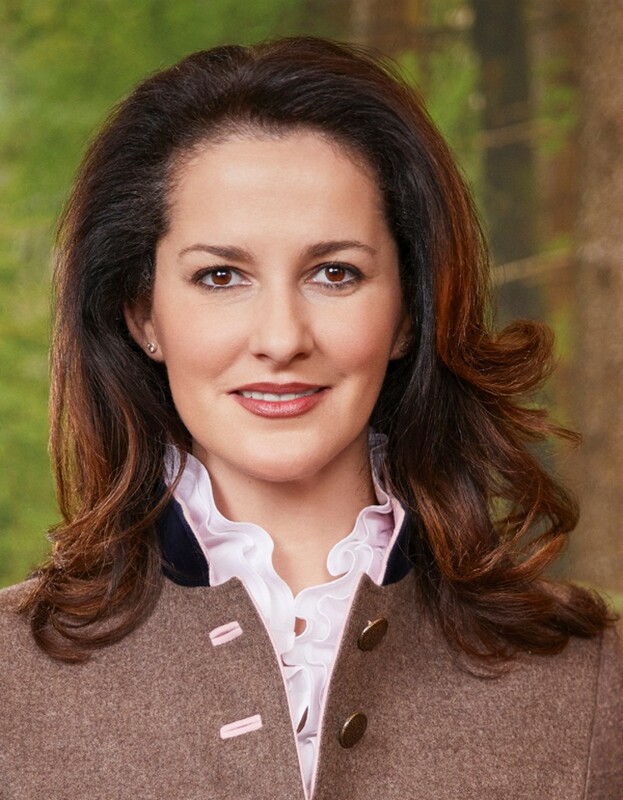 Michaela Kaniber: Bavaria is Germany’s number one federal state for its richness in woodlands. With nearly 200,000 employees and an annual turnover of some 37 billion euros, the forest and timber industry is one of the economic heavyweights, particularly in rural areas. Therefore, INTERFORST as one of the industry’s major trade shows provides an important stimulus for Bavaria and ensures direct added value for the 700,000 Bavarian forest owners and all those employed in the forest. The fact that INTERFORST also attracts visitors from around the globe to Munich confirms its position as industry leader. You come from Bad Reichenhall, a region that is very rich in forest resources. How to you perceive the forest as a private person, what does it mean for you personally, what do you associate with it? Michaela Kaniber: The forest is a piece of home for me, and an indispensable part of what makes Bavaria, and especially the Bavarian mountains, so unique. I am convinced that the many millions of tourists who like to spend their holidays in Bavaria each year will agree with this. When I need an escape from everyday life, I go into the forest directly behind my house, at the foot of the Latten Mountains. I know every tree there; that is pure relaxation. From your viewpoint, what are the greatest challenges for the wood and forestry industries in Bavaria? Michaela Kaniber: Climate change is and will certainly continue to be the greatest challenge. This year’s warm and dry spring has made us poignantly aware of it again. To secure our green third of Bavaria for coming generations, we must move away from pure stands—regardless of the tree species they are composed of—towards mixed stands which distribute the burden over many shoulders. This requires forest restructuring, a major effort which we can only accomplish if the sector – ranging from the forest owner to the processor—closes ranks. At the same time, however, the sector is facing the challenge that its action in the forest is scrutinized by the general public in an increasingly critical way. In order to maintain our ability to manage our forests in a tried and tested sustainable manner, the sector, jointly with policymakers and representatives from public administration, must succeed in finding answers even to critical questions—in a professionally serious and transparent way. We have to preserve the trust placed in our action and to strive for it over and over again. Have you already planned concrete initiatives or measures to deal with this challenge? Michaela Kaniber: The Bavarian government supports forest owners by providing human resources and substantial funding: In September 2017, for example, we resolved the 2030 Forest Restructuring Offensive. In the ten years to come, we will make 200 million euros and 200 new posts available in order to push ahead with forest restructuring in a decisive manner. As far as bark beetle control is concerned, we provide additional support to forest owners, offering them a comprehensive package of measures. Since this year, for example, there have been subsidies for the debarking and temporary storage of infested trunks. As a further important element, the Bavarian government will sign a “Forest Pact” with the relevant associations and representatives of the privately owned and communal forests on 18 July. In doing so, we will lay down the political guidelines for the next few years and create a firm basis for forest owners to act in an autonomous and responsible way. In this way, Bavaria will be well prepared to meet the challenges of the future! Even if 41 percent of the private forest owners in Bavaria are women, the forest sector continues to be a male domain. At a meeting of a forest owners association, for example, or even at INTERFORST, you will predominantly meet men. How do you handle reservations in this respect? Michaela Kaniber: It is certainly true that women are still underrepresented in the forest and timber sector. As the Bavarian Minister of Forestry, however, I have not yet felt any reservations. On the contrary, the industry representatives have always dealt with me in a frank, honest and constructive manner. My impression is that a very professional atmosphere is prevailing and that the common interest—sustainable forest management that is adequate for all—takes center-stage. Moreover, the industry already responds to the increasingly female target group: both the forest administration and the silvicultural self-help institutions offer advice and support tailored to female forest owners, which are very well received. Actually, this shows that there is a change underway!